Nan has yet to become a big name among foreign travelers, but that’s all the better because you’ll be among the first to explore this Northern city and its rural charms. Majestic mountains surround Nan’s laid-back old town and villages and rice paddies and the unique local culture of Tai Lue isn’t to be missed. That’s why after admiring the temples in Nan Old Town, you should definitely venture into nature and the local villages. 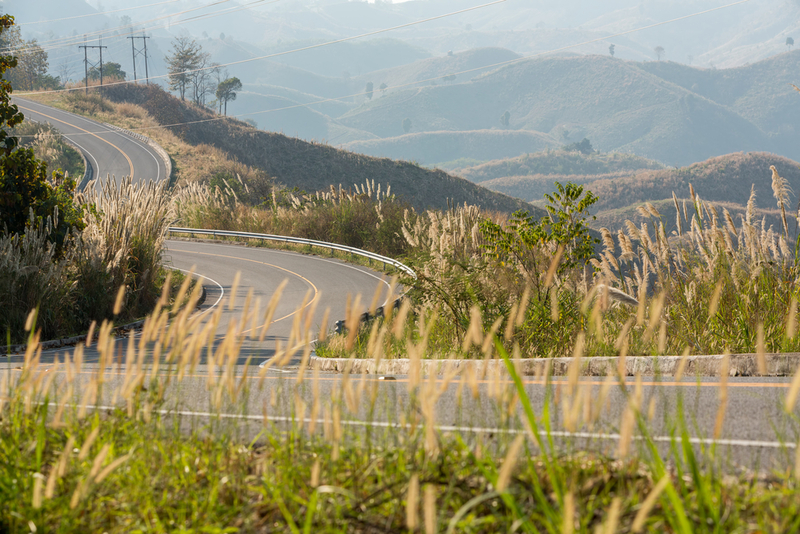 Now let’s see why Nan should be your Northern Thailand trip. Nan might be a quiet city, but its temples are outstanding. 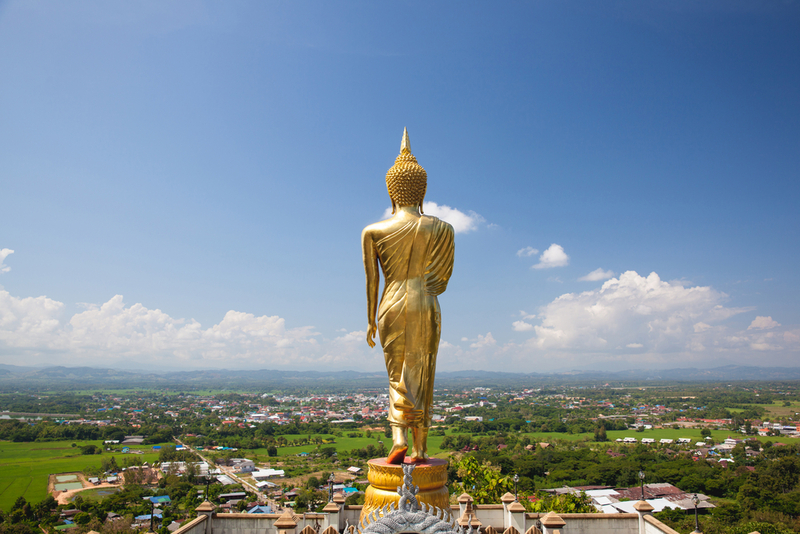 In Nan Old Town, you’ll find a stunning white temple, a glorious golden temple and also Wat Phumin. Wat Phumin might not be as eye-catching as the other two temples, but it houses Nan’s signature: the painting of local lovers called “The Whisper of Love”. A little further from the old town area are Nan’s most revered temple and its golden pagoda, Wat Phra That Chae Haeng, and the hilltop temple with the Blessing Buddha overlooking the city, Wat Phra That Khao Noi. Book a Nan Highlight Tour. Old-world charms remain in Nan thanks to its traditional wooden houses, but you’ll love those that are converted into Northern Thai restaurants and chic cafés too. Among the houses are Nan Noble House, the teakwood houses used by Nan nobles and reopened as a local museum. During the weekends, don’t miss the evening walking street called Kad Khuang Muang. Come enjoy the street food and the souvenirs inspired by Nan culture. The northern city is home to Nan National Museum, where you can find artifacts related to the city and its culture. 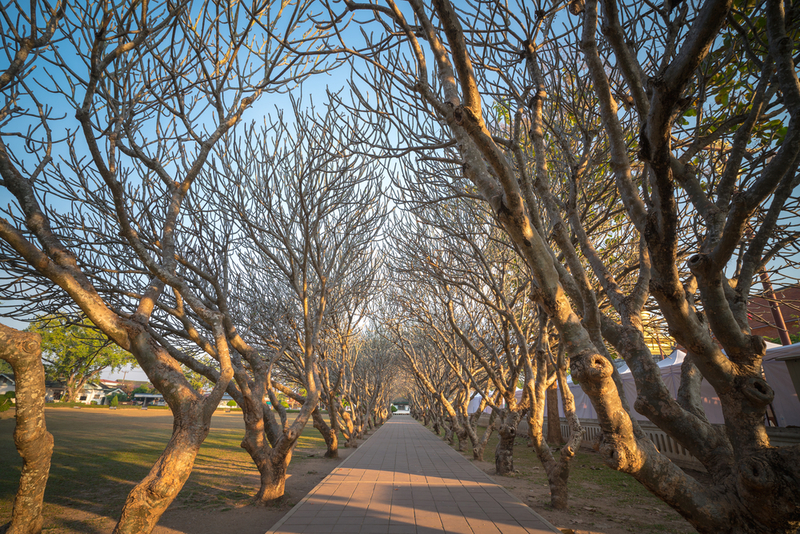 The approach is leads to Nan National Museum is also breathtaking with the Frangipani Tunnel. It’s very photogenic, so get your camera ready. Right by the Nan River is Nan Riverside Arts Space (previously called Nan Riverside Art Gallery). 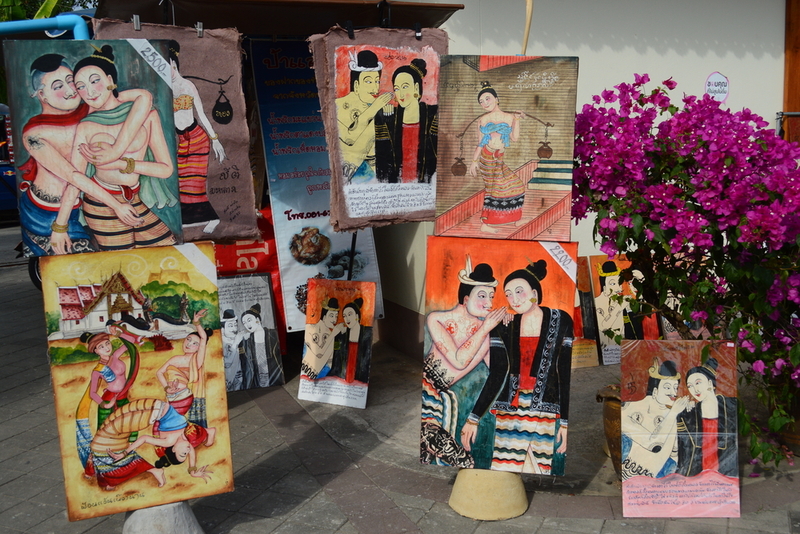 The local art scene will surely keep art lovers happy and many works also draw inspirations from Nan traditions. Nan nature is full of diversity. For the wilderness vibes, visit the sandstone pillars and cliffs of Sao Din Na Noi. If you’re dreaming of greener space, Nan has beautiful national parks. Doi Phu Kha National Park will give you not only the greenery but also the pink flower trees called Chomphu Phu Kha if you visit in February. For stargazers, go to Doi Samer Dao, where you can camp under the stars and wake up to the morning mist floating below. Book a Nan Nature and Culture Tour. Bo Kluea is just a tiny village, but don’t let that deceive you. Its home to the world’s sole mountain salt wells and you can still watch the locals go about their rock salt extraction business, just like centuries ago. Pua District is probably the most idyllic part of Nan. It’s the definition of rural life with rice fields and simple homes, but more than the pastoral landscape, you’ll get to experience the Tai Lue culture. 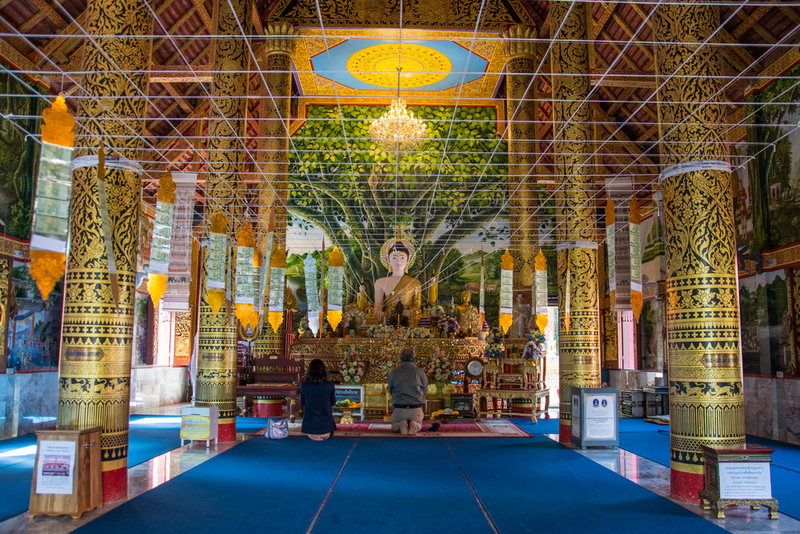 Visit the local temple, Wat Phuket. Chill in the middle of rice fields at Ban Tai Lue Café and buy Tai Lue traditional textile products.